Douglas Laing was kind to send me a sample ( a very cool pen that my kids love ) of their newest Big Peat whisky, a Private Bottling limited to just 250 bottles. 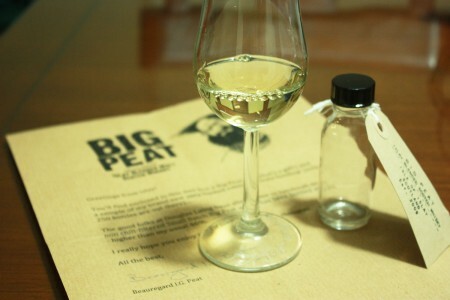 If you recall, Big Peat is a vatted whisky made using Ardbeg, Bowmore, Caol Ila and Port Ellen single malt whiskies. They have an standard everyday bottle at 46% ABV and Douglas Laing releases yearly editions around Christmas bottled at cask strength. Bottled at 50% and with no chill-filtration, the result is an amplified phenolic and maritime quality on the nose, palate and finish. One sip of this special Small Batch edition transports the drinker to its magical home of Islay. Nose (92): more than average. peat, cereal, earth, honey, citrus, coffee. 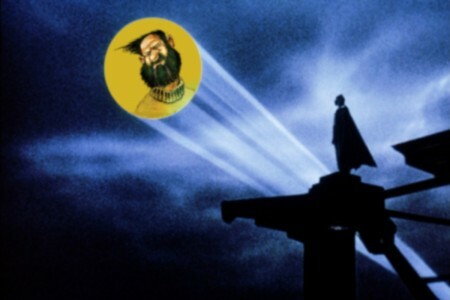 There is a good amoung of Ardbeg here and it is slightly older than other Big Peat whiskies I have tasted. Palate (92): powerful, oily. peat, citrus, pepper, honey, spices, vanilla, coffee, chocolate. Finish (92): longer than average. peat, earth, chocolate. So based on other whiskies I have already tasted I rate this Big Peat Private Bottling with 92 points over 100. If you are anytime needed of delicious awesome peat, not just peat, just launch the Peat-signal and wait for Big Peat to rescue you. Amazing whisky and for just £29.95 a bottle.